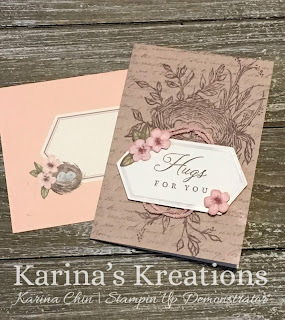 Karina's Kreations: Subscribe today to get your special Hugs From Shelli Paper Pumpkin Kit! Subscribe today to get your special Hugs From Shelli Paper Pumpkin Kit! Have you ever tried Paper Pumpkin? You may want to. Shelli has designed next month's kit called Hugs From Shelli. To get this kit you must be an active paper pumpkin subscriber. To get this special kit, just link this link. 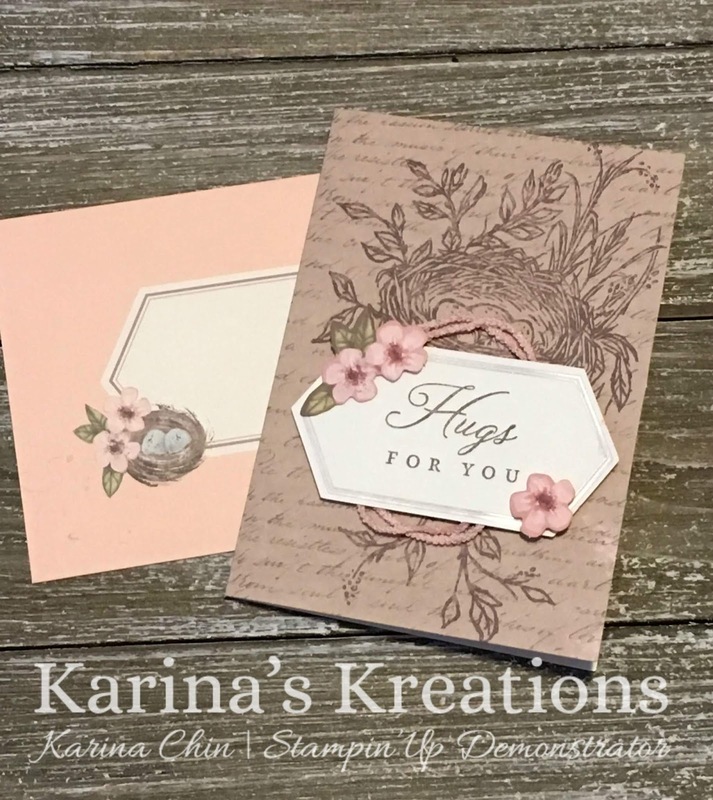 This kit makes 12 cards and includes an exclusive stamp set and ink spot. This is one of the cards from the kit. We got to make it at Onstage this weekend. Isn't it beautiful!